After the long, freezing, snowy, never ending winter here in Northeast Ohio, we all swore we would never complain about the heat. But I think we’re about to go back on our word. This weekend we could see temperatures reach 100 degrees here in Cleveland! Don’t suffer through the heat and humidity. Start enjoying Northeast Ohio summers with central air conditioning. It’s always nice to spend a hot day outside at the pool or beach, but at the end of the day everyone wants to be able to relax comfortably in their home. 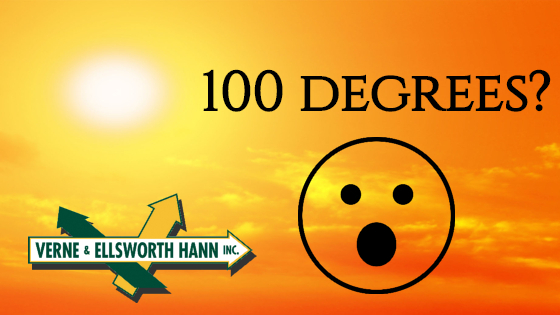 Verne & Ellsworth Hann has been servicing and installing air conditioning in Northeast Ohio for over 63 years. Many homes in Cleveland Heights, Shaker Heights, University Heights, and the surrounding area, are heated with boilers. Adding air conditioning to these homes is no challenge for Verne & Ellsworth Hann. With 5 generations of Hann family experience, contact Verne & Ellsworth Hann today for all your air conditioning needs.